Yalikavak Public Beach is a popular place with local families and a lazy afternoon there makes for a pleasant change from the more touristy areas. 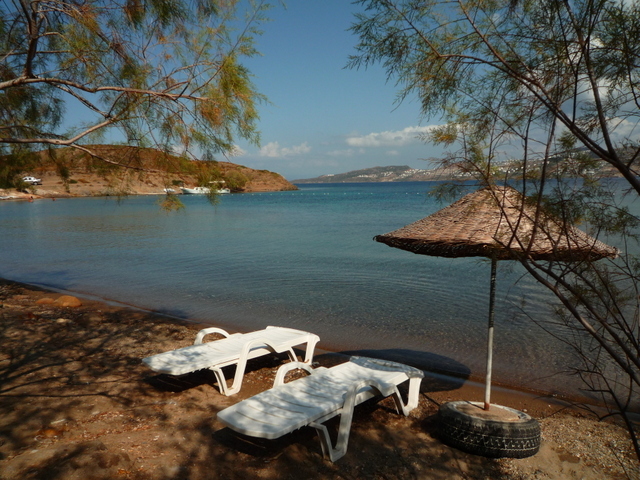 You’ll find it a couple of kilometres from the far end of Yalikavak’s main beach*. Trees provide shade along the water front and you can hire sunbeds for a small fee. 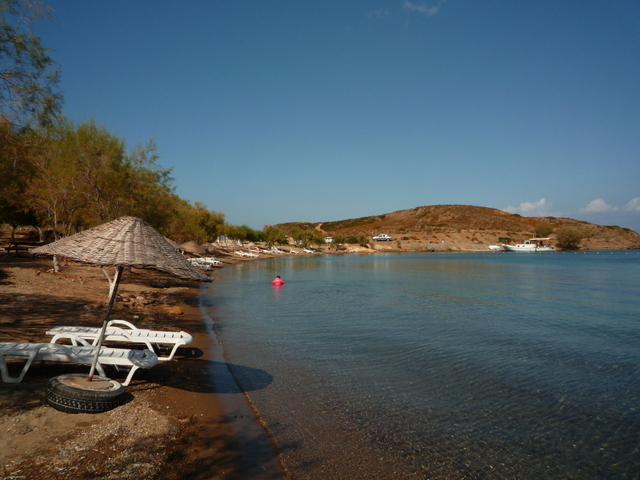 The bay is calm and a large area roped off offers safe swimming. The snack bar sells toasted sandwiches, chips, etc. 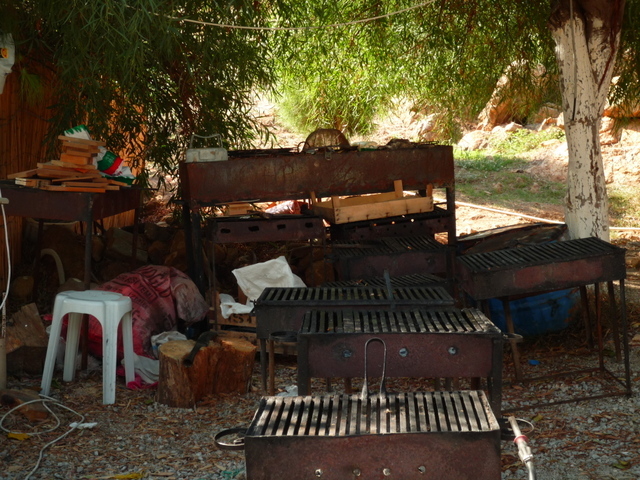 plus ice-creams and drinks, but the real attraction here is that you can hire a barbecue and cook your own meal. Order it at the snack bar and they’ll deliver it to you a few minutes later with the coals hot and ready for cooking. There is a loo and a small changing room – both pretty basic – and an outdoor washbasin. *Follow the road out of Yalikavak which climbs towards the headland. 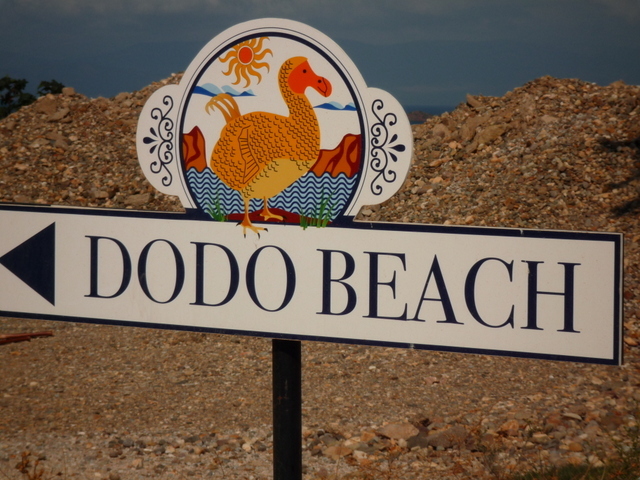 Turn right at a mosque where a sign points to ‘Dodo Beach’. The road skirts the bay, past a hotel and down to the water’s edge. There is ample parking by the entrance to the beach. 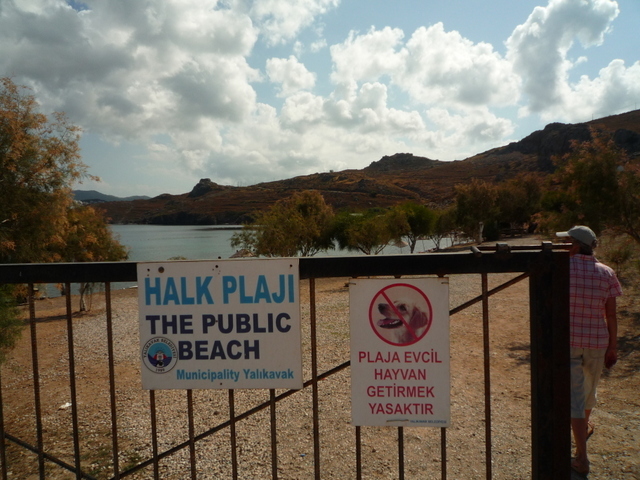 See the marker for Yalikavak Public Beach on our area map. 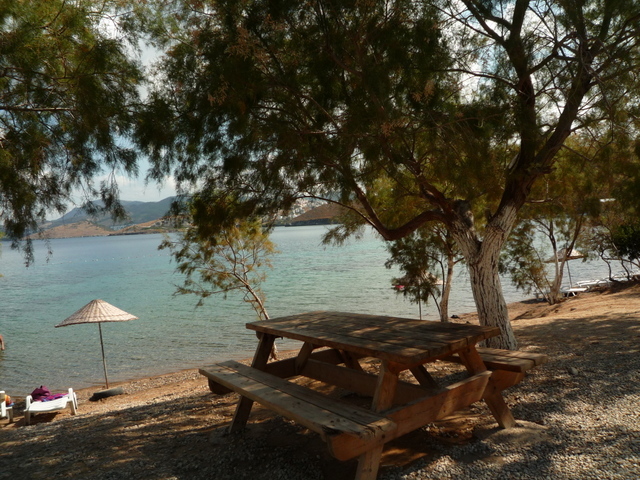 This entry was posted in Activities, Food and Drink and tagged Beach, Beach BBQ, Bodrum Peninsula, Travel, Turkey, vacation, Yalikavak, Yalikavak Public Beach by Val Smith. Bookmark the permalink.